Hi friends! 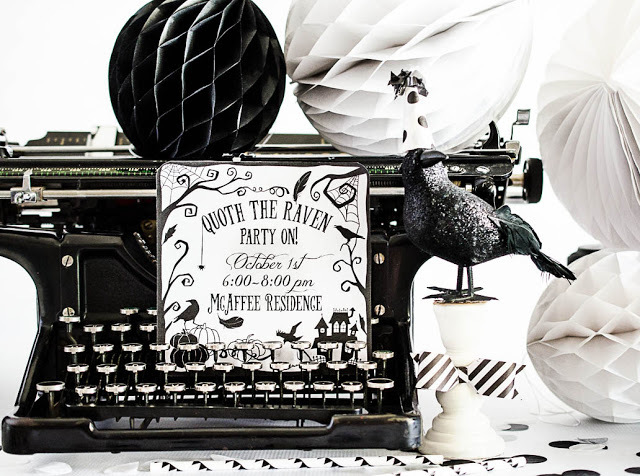 Rachel from Fawn Parties here with you today and I’m thrilled to be here for another Spooktacular September post! Every year during the month of October, our family gears up for our annual vacation to Disneyland to enjoy all the Halloween festivities the park has to offer. 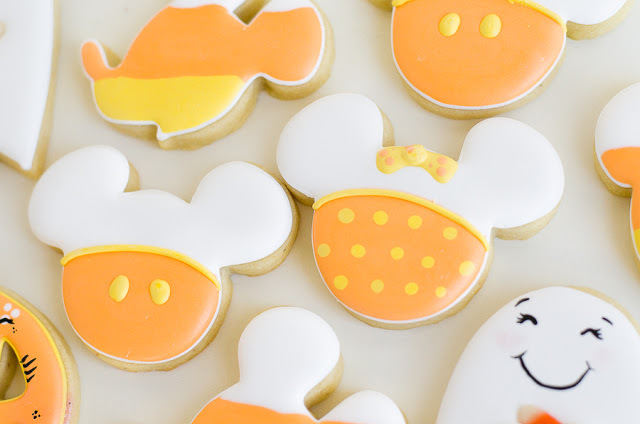 From the spooky-cute attractions and parades to the deliciously spootacular treats, we think it’s the best time of year to be in Disneyland. 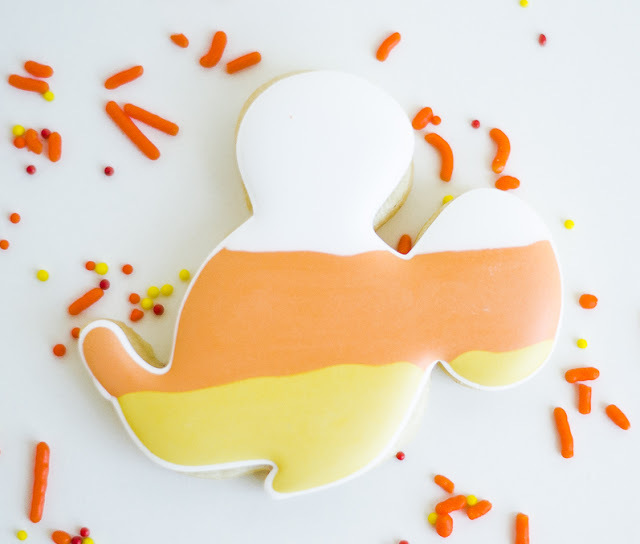 To ramp up the excitement before our trip, I thought it would be fun to throw a Mickey Mouse themed party before we headed to The Most Magical Place on Earth! My daughter invited a few of her buddies over for a fun-filled afternoon with lots of yummy treats and activities. 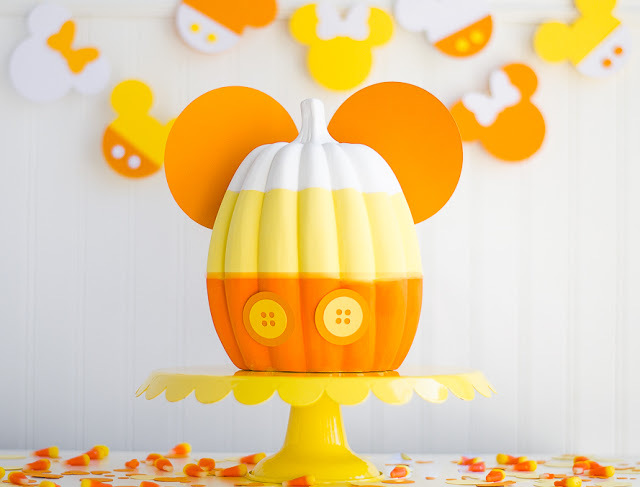 This adorable candy corn inspired Mickey pumpkin was so quick and easy to create. Using a ceramic pumpkin, I painted stripes in orange, yellow and white…just like a candy corn! 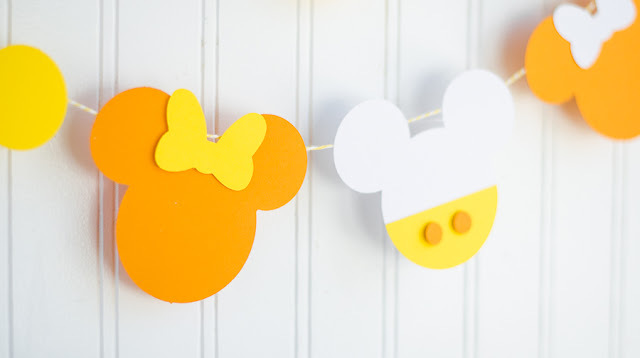 Then I used my Cricut Machine to cut out buttons and Mickey ears. I glued them to the pumpkin and that was it! So cute, right? 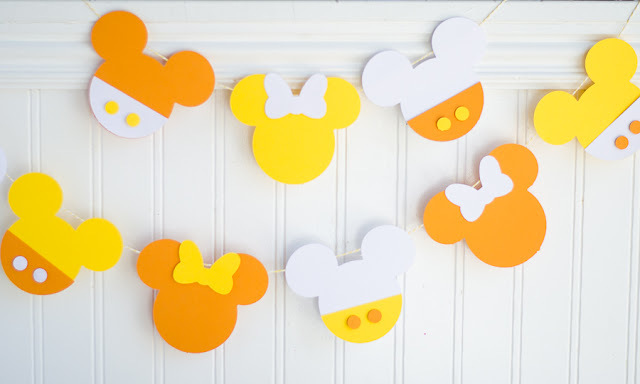 Make a festive Minnie and Micky banner using a Cricut Machine (or you could alway trace and hand cut Mickey and Minnie) and string them to baker’s twine. The kids loved this part of the party! 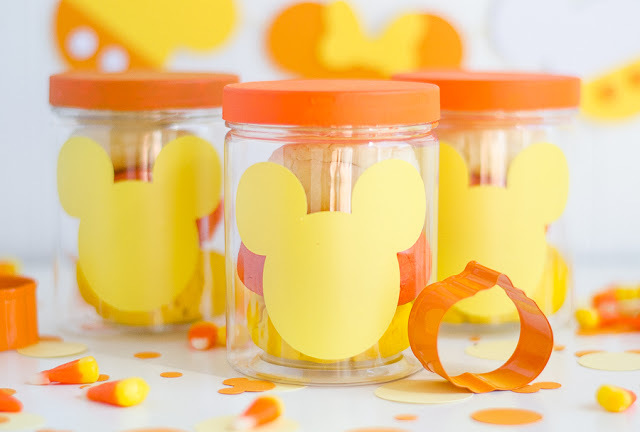 I cut out Mickey ears using yellow vinyl and attached them to small plastic jars. 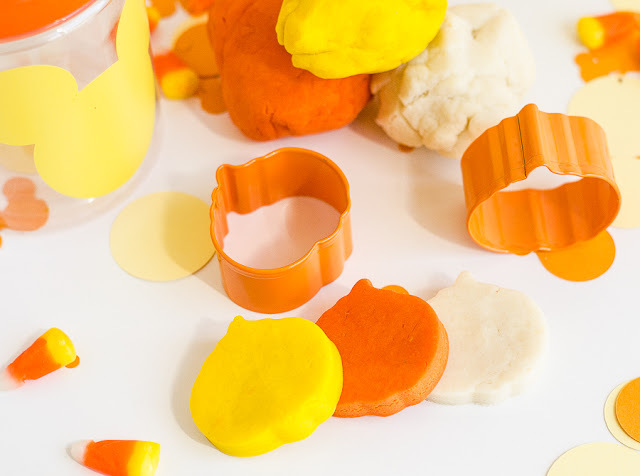 I then filled the jars with white, yellow and orange playdough and tiny pumpkin cookie cutters. The kids loved cutting mini pumpkins out of the playdough and had a ball making their very own little pumpkin patch. 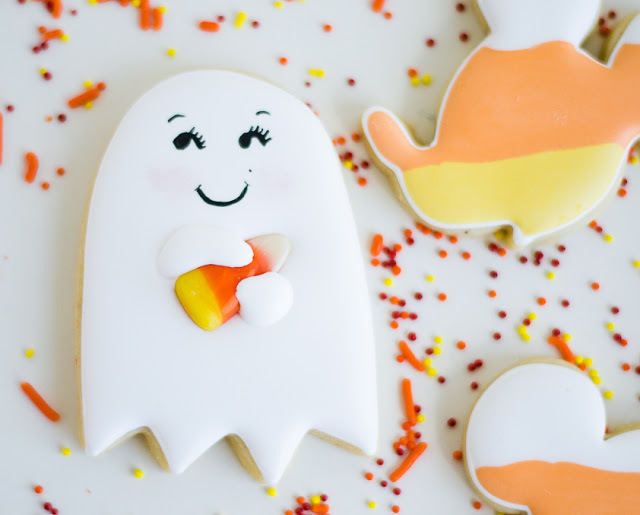 Of course you can’t have a party without some yummy treats! 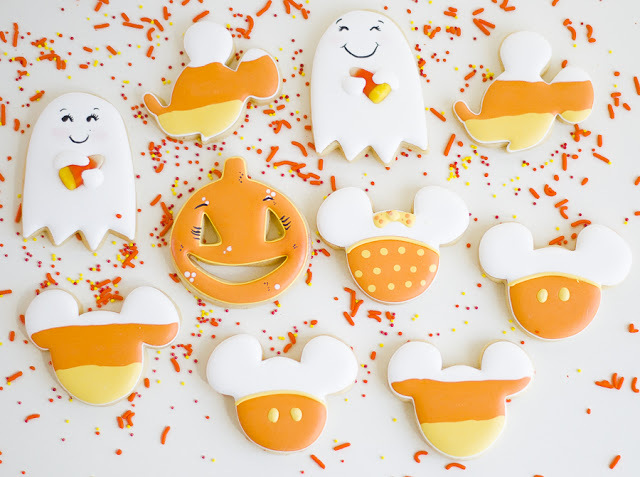 Leigh from Baby Gabey Cookies created these adorable Mickey and Minnie sugar cookies and threw in a couple spooky-sweet ghosts and jack-o-lanterns too! 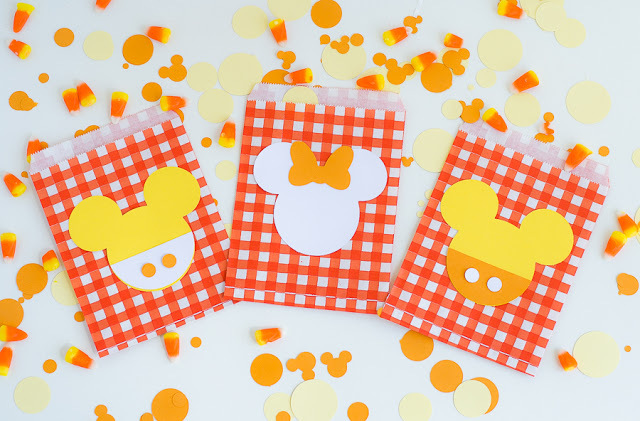 The kids left the party with sweet orange gingham Mickey and Minnie goodie bags filled with Halloween treats and toys. 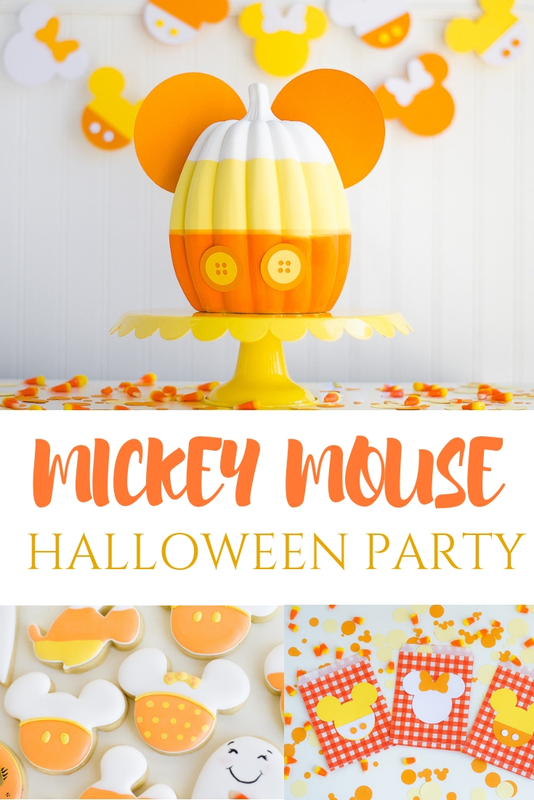 I hope you enjoyed this Mickey Mouse inspired Halloween party! 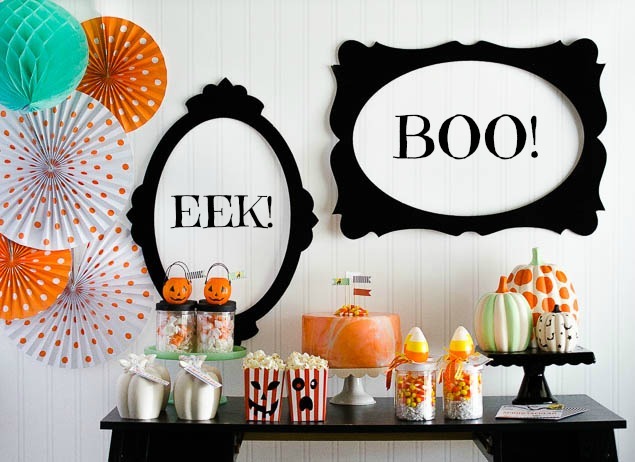 For more Halloween inspiration, check out these fun party posts!